Welwyn Ardsley and the Cosmic Ninjas: Preparing Your Child and Yourself for Anesthesia and Surgery is a fun and educational book that helps children who are about to undergo a medical procedure—and their families—get a good idea of what to expect in the operating room. An experienced anesthesiologist and father, author David Rosenblum, MD, takes a unique approach to familiarizing families with the often intimidating world of the hospital operating room. Other books explain surgery and anesthesia in simple language, but Welwyn Ardsley and the Cosmic Ninjas take a giant leap into the world of the imagination, turning the hospital, operating room, and staff into a fantastical world of spaceships and germ-fighting ninjas. In addition to the action-packed children’s story, the book includes an informative discussion addressed to parents. Additionally, an atlas provides photos of the equipment involved that allows children to become familiar with the operating room setting so that it will be less intimidating when they arrive for surgery. The story is about an adventurous little boy named Welwyn Ardsley who falls and injures his leg. As he is falling, he reaches for his sister’s teddy bear, injuring the stuffed animal’s leg as well. 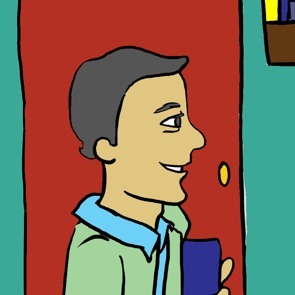 Welwyn’s mother takes him to a surgeon, who informs the family that he can fix the problem. When Welwyn asks if the surgical procedure will hurt—one of the biggest fears children have when facing the prospect of a medical procedure—the surgeon describes the job of anesthesia in the simplest of terms, assuring the boy that they have great ways of taking away the pain. At the hospital the anesthesiologist, Dr. Ralph, sets Welwyn at ease by making him laugh and introducing him to the friendly and helpful nurse and the technician, dressed in their scrubs. These strange people dressed in green and wearing covers over their mouths, heads, and feet remind the boy of ninjas. When a sticker is placed on his finger and begins to glow red, Welwyn feels just like Space Ranger 6, who can shoot lasers from his hand. And when he puts on the anesthesia mask, he imagines it’s a high-altitude pilot’s mask, and he grows braver with every breath. As he is going under, Welwyn flies off into space and into a dream that he is a space hero landing on an alien planet. His mission: to save Teddy from the germs that are attacking him. 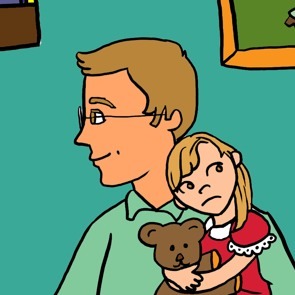 Despite his own ordeal, Welwyn wants to fix the damage he did to his sister’s beloved Teddy. And he is not alone. The attending staff—Welwyn’s Cosmic Ninjas—are ready for action! By presenting the surgical experience as an exciting space adventure, Rosenblum addresses the fear, anxiety, and confusion that a child may be feeling with practical information folded into an imaginative adventure story. Children not only identify with it, they will gain confidence to bring to the operating room. And by highlighting the positive, healing aspects of anesthesiology and surgery, the book focuses on what the medical profession is all about. 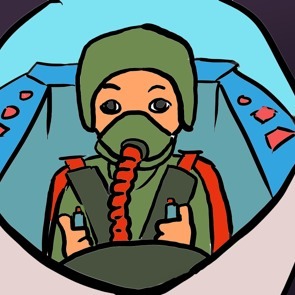 Welwyn Ardsley and the Cosmic Ninjas launches children into the exciting adventure of a little boy who imagines the anesthesia mask to be a high-altitude pilot’s mask and dreams of himself as a space superhero on a mission to save his sister’s teddy bear. This world of space superheroes helps expand your child’s mind and instills confidence for a richer real-life experience. Along with the children’s adventure, an informative discussion of medical procedures addresses parents’ anxieties and concerns. And an atlas showing photos of the equipment involved allows children to become familiar with the operating room setting so that it will all be less overwhelming when they arrive for surgery. Author David Rosenblum, MD, is board certified in anesthesiology and pain management. He serves as the director of pain management at Maimonides Medical Center in Brooklyn, New York, and runs his own practice, AABP Pain Management. In addition to professional lectures and training of anesthesiologists, he has appeared on the New York University’s Sirius XM Radio show Doctor Talk. As a parent and doctor who has performed many pediatric anesthetics, he recognizes the need for a book that prepares the entire family for upcoming medical procedures.